Written by Ashley Bell, a member of The Church of Jesus Christ of Latter-day Saints (also known as a “Mormon”). Ashley and her husband are expecting parents, for the first time, and are very excited for the life that is ahead. Thanks be to my parents who both found happiness even though they came from backgrounds that did not cultivate the feeling, for various reasons. My dad came from a Greek family who wanted him to have a Greek wife. My mom came from a Mormon family that ideally would have had her marry someone with a similar belief system (even though they weren’t active Mormons at the time). Despite their parents opposition they were married because they felt right about it. For their financial income they ran and owned a local bar. They didn’t feel happy there so they gave up their good income and moved to where they thought they might find happiness- a farm in Missouri! After living a hard, exhausting, and not to mention poor farm lifestyle their hearts were prepared to receive the source of true happiness, the Gospel of Jesus Christ– through The Church of Jesus Christ of Latter-day Saints. How can we personally find happiness? Just yesterday I was having a lovely conversation with my sweet Mother about attitude. She taught me the timeless counsel that we can be involved in something and be unhappy, or we can be involved in that same something and be happy. The choice is ours. Naturally when we choose happiness we are continually drawn to those things that will usher happiness into our lives. Consequently those who choose happiness initially are eventually led to live the teachings of the Lord Jesus Christ, whether they intentionally do this or not. Jesus Christ’s teachings, if followed, brings the kind of happiness that lasts forever. As the Prophet of The Church of Jesus Christ of Latter Saints, even Thomas S. Monson, has said, “Happiness comes from living the way the Lord wants you to live and from service to God and others” (See “Preparation Brings Blessings,” Ensign, May 2010, 66-67). Why does the Gospel of Jesus Christ bring happiness to our lives? When I was in high school a boy asked me a sincere question that caused me to ponder. He asked, “why are you always so happy?” To that point I didn’t think I was happier than the average high school student, but for some reason this boy saw something that I didn’t. I was enlightened at that moment and was filled with the Spirit of the Lord. The still small voice whispered to me, “You are happy because you know that Jesus loves you.” I responded by telling my friend exactly that, “I am happy because I know that Jesus love me.” What a turning point this was for me—I finally recognized the source of my happiness, the Lord Jesus Christ. I was not a girl without problems (everybody has them) but I was happy. And I am still happy! 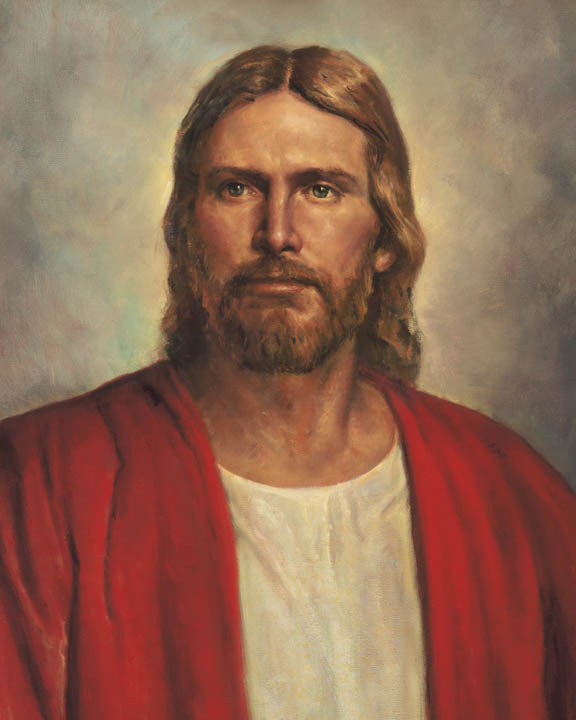 The reason for my happiness, the why, is because I know that my Redeemer lives and that He loves me—and He loves all of His children. Is it possible to maintain the feeling of happiness in our day-to-day lives? “[God] is your beloved Heavenly Father, who seeks your good, your happiness. He desires with all the love of a perfect and pure Father that you reach your supernal destination. . . . All you have to do is trust your Heavenly Father. Trust Him enough to follow His plan” (See Dieter F. Uchtdorf, “Your Happily Ever After,” Ensign, May 2010, 1). God is the Father of the Universe, and He has provided a way for us to receive true and lasting happiness through His Son Jesus Christ. “For God so loved the world, that he gave his only begotten Son, that whosoever believeth in him should not perish, but have everlasting life (John 3:16). I know it is possible to be happy from day-to-day because I am doing it! Sure, I have a bad day every now and then (it is inevitable), but I know that lasting happiness will continue to envelop my soul as I go to the proper source, even the Lord Jesus Christ. Ashley Bell is a 22-year old wife, mother, BYU graduate, and member of The Church of Jesus Christ of Latter-day Saints. Ashley loves to run, cook, garden, read, and most of all spend time with family and friends.